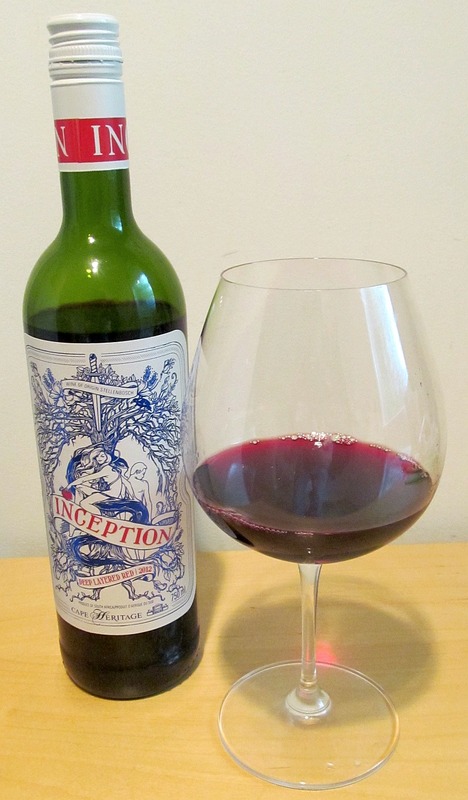 I received a bottle of Inception 2012, a red blend of 81% Shiraz, 10% Petit Verdot, and 9% Mourvedre. This wine I was told is being released first in Canada before the rest of the world. It is produced in South Africa, a country that has its feet in both the Old World and the New World of wine making style. Wines that I have tasted in the past from South Africa, tended to be enjoyed with meals more than on their own. From the information provided with this wine, it appears that quite a bit of care was taken to hand pick the grapes, then ferment each grape variety separately in stainless steel tanks. followed by a full malolactic fermentation (to make the wine smoother and rounder), followed by aging in oak barrels for 12-14 months and blending. The wine is deep ruby in colour. It has a pronounced nose, with primary aromas of red fruit, smoke and meatiness, followed secondarily with raspberry, vanilla, leather and chocolate. It has a bit of sweetness to it, at 17.2 g/l of residual sugar. 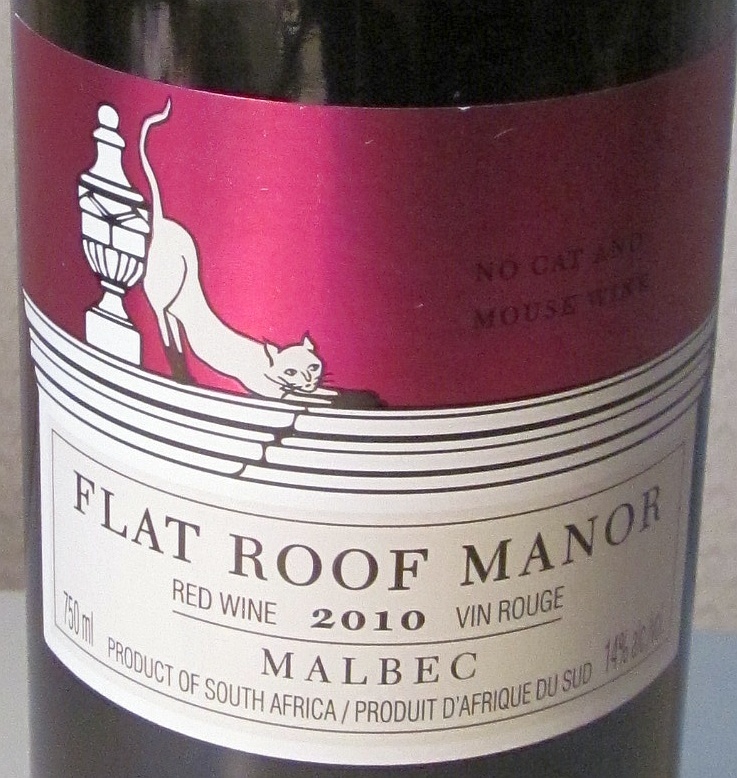 Quite soft, round and smooth on the palate, but overall has a very light mouth feel. 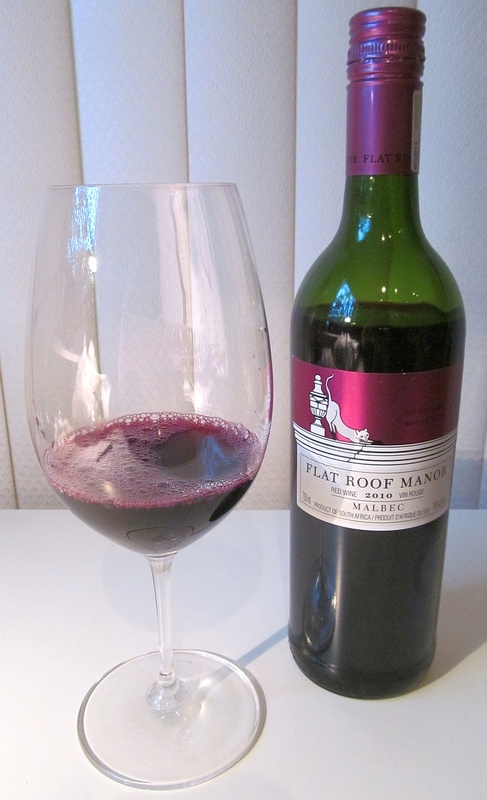 Mainly red fruit and chocolate flavours, with lesser amouhts of red cherry and black currant. The sweetness is the first sensation you get on the palate and continues to the finish. On the finish you get mouth watering acidity and pepperiness. The tannins are very light on this wine, and I think would help to bring a bit more structure to the wine. 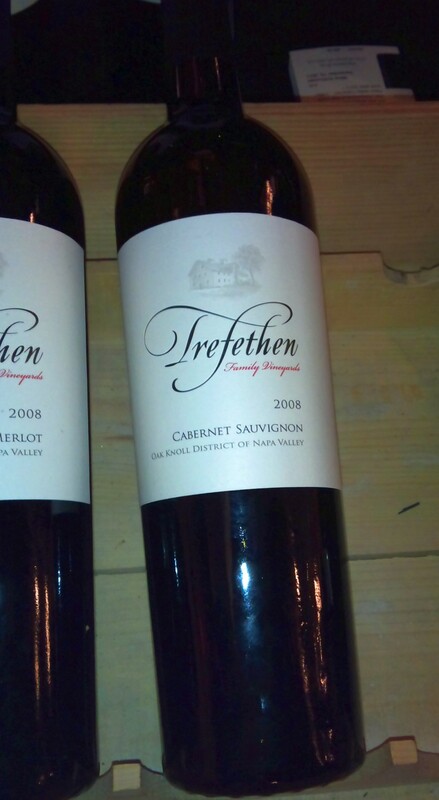 This wine will be a hit for those of you who like Apothic Red or Yellowtail wines. 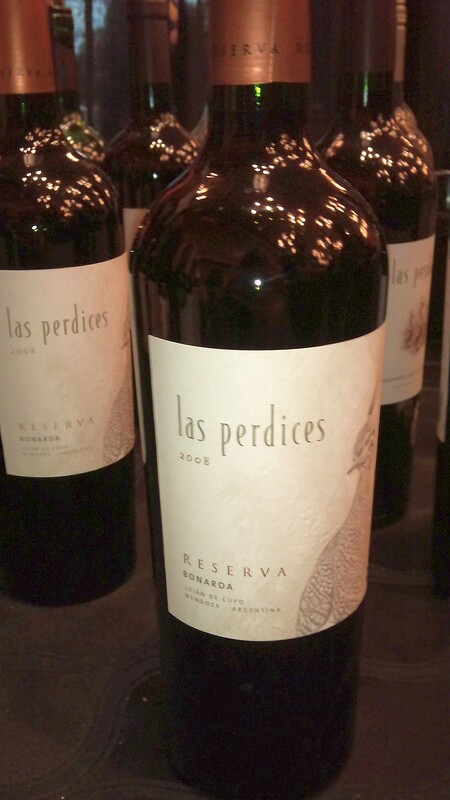 I think people who do not like tannic wines and just want something to sip at a party would enjoy this wine. The price is nice. In BC $14.99 a bottle. 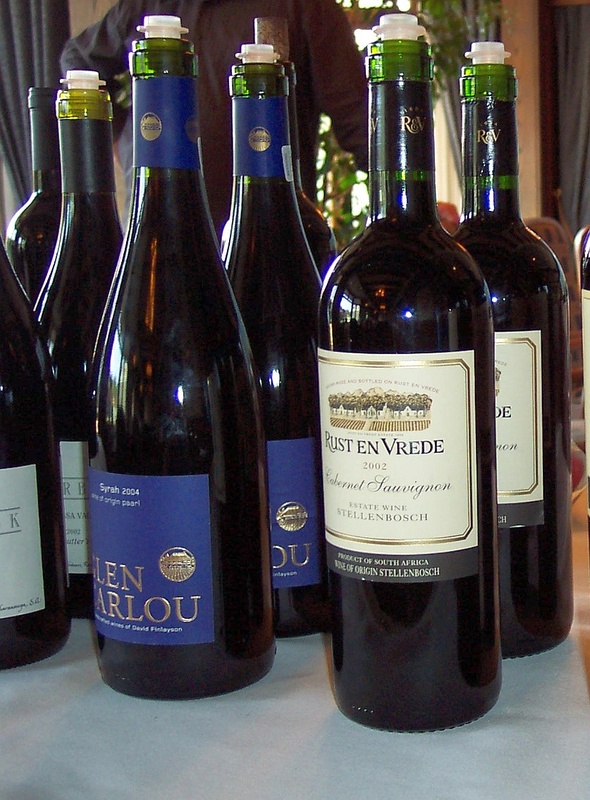 Did you know that South African wines are sometimes known as the Old World of the New World. They have been making wine since 1685, yet are still viewed as New World! Their wines do share characteristics of both worlds. The wines are not as austere as Old World wines can be, nor are they as fruit forward as some New World wines. But this balance, makes them very good food wines. I have enjoyed many meals as part of the South World Wine Society sipping South African wines in the past. Liberty Wine Merchants in Vancouver has a sale on some premium South African wines on till June 30/12. All the wines listed below are from excellent producers, which I have sampled in the past. Give these wines a try. Enjoy! A very elegant wine with lovely fruit and great mid-palate weight. 91 pts – WS. Cherry and raspberry supported by beautiful tannins. 93 pts – WS. Cocoa and black cherry. Made in the Bordeaux ‘right-bank’ style. 92 Pts – WE. This unwooded Chardonnay abounds with flavours of pineapple and pear. Apple, melon and peach with a touch of minerality. 91 pts – RP. Red fruits and pepper with sweet tannins. 89 pts – ST.
One of the Cape’s most heralded and sought-after wines. 88 pts – ST.
Blueberry jam and plum fruit alongside tobacco and cedar. 90 pts – WS. Offers lush fruit but nishes with a surprisingly rm edge. 89 pts – ST.
* Offer valid until June 30th, 2012. * Contact Liberty Wine Merchants stores for availability. Day 2 is over for me at the Vancouver Playhouse International Wine Festival. I spent a portion of my time finishing off some Chilean wineries (and interviewing a few wine makers) but the majority of the time was trying the other wineries’ wines at the Festival. If you are attending tomorrow’s tasting, here are some wines that you may want to try. Tasting notes will follow after the Festival is over. There are many more wines and wineries that I did not have a chance to try. Australia, Canada, and New Zealand were not able to get my attention, but there are many good wines from there too. I hope you enjoy some of my latest wine picks! Enjoy! I also love to hear what you liked at the Festival. Leave a comment please with your favourites. Sorry for the short notice, but there is a FREE tasting of South African wines at Marquis Wine Cellars downtown, tomorrow 2-5pm (Sunday, Oct 2). Here is the announcement. Enjoy! On Sunday, October 2 2011, Marquis Wine Cellars will offer Vancouverites a chance to taste wines from South Africa’s Post House and Mooiplaas wineries. Consumers are welcome to stop by to sample the wines and meet winery representative Sarah Colman. Post House and Mooiplaas are both located Stellenbosch, the country’s Stellenbosch premier viticultural region. The two wineries share in the region’s rich history and have become international ambassadors for South Africa’s winemaking community. Winery representative Sarah Colman will be on hand at Marquis to introduce the wines and to answer questions about them. For more information please call 604-684-0445.